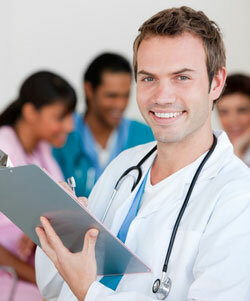 Looking for a physician opportunity? Decisions regarding your professional future are some of the most difficult decisions a physician, nurse practitioner, and physician assistant are faced with. When working with The Toberson Group, one of the company officers will help you identify your ideal practice opportunity by spending time listening to you and by asking the right questions. They will get to know you and what you are looking for in a practice opportunity regarding location, setting and timing. Your representative will stay in close contact with you throughout the entire process; they will be there to help you in any way possible. Over the past 30+ years we have established positive working relationships with large facilities as well as smaller private group practices throughout the country. Our clients are based in metropolitan areas as well as rural settings and choose to work with The Toberson Group because they know we will only present highly qualified physicians who have a sincere interest in their specific opportunity. We value your trust in us and will continue to do everything possible to continue earning that trust. To view some of the physician positions The Toberson Group is currently representing click on the job board; if you would like an officer to call you regarding possible opportunities simply complete the short contact us form and they will be in touch with you shortly. To reach us directly please call 800-726-0990 or 636-891-9774 or send us an email.